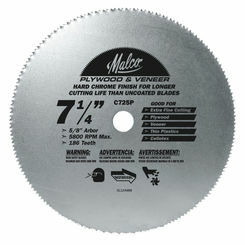 The Malco Mccb7 is a 7-1/4" Metal Cutting Circ Saw Blade. 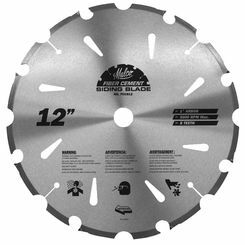 This circular saw blade features a specially formulated, tough, c-6 carbide tipped construction that fits all popular brands of portable circular saws. 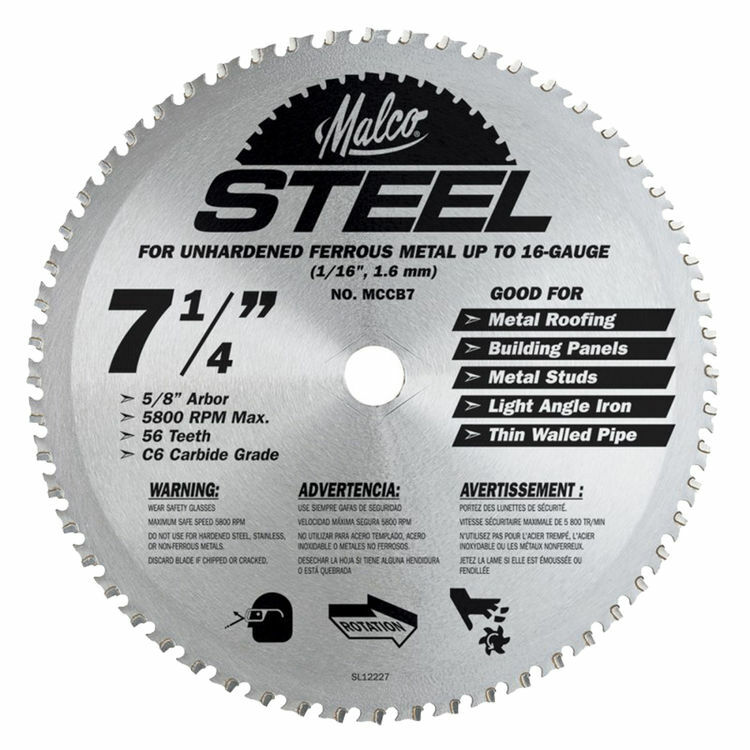 It lasts up to 30 times longer than abrasive discs for cutting unhardened ferrous metal.